STMicroelectronics has developed a software package that enables Amazon’s Alexa Voice Service (AVS) to run on STM32 microcontrollers, allowing simple connected objects such as smart appliances, home-automation devices, and office products to support conversational user interfaces. Rambus Labs and IBM are working together to optimise the use of DRAM and emerging memories to create a high-capacity memory subsystem that delivers comparable performance to DRAM alone. As part of the collaboration, Rambus will develop a flexible prototype hybrid memory platform using the OpenCAPI interface to demonstrate performance of multiple memory types in real-world server applications. The hybrid memory system architectures will combine standard DRAM using other technologies such as Flash, enhanced Flash, Phase Change Memory (PCM), Resistive RAM (ReRAM) and Spin Torque Transfer Magnetic RAM (STT-MRAM) to create high capacity memories at lower cost per bit, with performance levels comparable to that of DRAM. Rambus will use IBM’s POWER9 processor and its OpenCAPI high performance interface to build a Hybrid Memory and development subsystem prototype. To move forward on this project, Rambus announced it has joined the OpenCAPI Consortium, an open development community based on Coherent Accelerator Processor Interface technology, and OpenPOWER Foundation, an open development community based on the IBM Power Architecture. Optalysys in Yorkshire, UK, has successfully built the world’s first implementation of a Convolutional Neural Network using their Optical Processing Technology. Convolutional Neural Networks, or CNNs, are used for image and pattern recognition in applications such as Autonomous Vehicles, Weather Forecasting and Medical Image Analysis. These models are computationally extremely intensive, particularly for complex models, where there can be many convolutional “layers” to process. While GPUs offer considerable advantages over conventional processors, they are limited by the breakdown of Moore’s Law and energy usage. Optalysys’s optical processing technology is a fundamentally different approach using energy efficient laser light rather than silicon as the processing medium. This delivers speed improvements of several orders of magnitude over conventional computing at a fraction of the energy consumption. The Optical Computing Platforms uses a coprocessor based on an established diffractive optical approach that uses the photons of low-power laser light instead of conventional electricity and its elctrons. This inherently parallel technology is highly scalable for CNNs architectures. Dutch hardware maker Logic Supply (www.logicsupply.com) has launched an Ultra Small Form Factor fanless PC for edge computing in the Internet of Things (IoT). The cl200 has a durable cast aluminum enclosure, and is configurable with Wi-Fi, Bluetooth and 4G connectivity. Both models in the CL200 series are powered by an efficient Intel Apollo Lake Celeron processor and measure a mere 83mm x 116mm x 34mm. The base model CL200, running on Linux Ubuntu 16.04, features 1 GB of RAM and 8 GB of onboard storage. The CL210 steps up to 2 GB of RAM and 32 GB of storage, and can be configured with Ubuntu or Windows 10 IoT. A built-in MicroSD card slot on both models enables additional removable storage. I/O on the CL200 includes one mini DisplayPort capable of 1080p or 4K resolution, one Gigabit LAN port, and two USB 3.0. The CL210 features two mini DisplayPorts capable of dual 1080P or single 4k resolution, dual Gigabit LAN, two USB 3.0 and also adds a 3.5 mm audio jack. Both systems have an additional USB 2.0 port and RS-232 box header on the bottom, and are configurable with Wi-Fi/Bluetooth and Extrovert 4G LTE capability. One key application is signage. "We've been working with Logic Supply for the last few years on a range of projects that require highly reliable computer hardware," said Kevin Romano, Executive Vice President and founder of the Christie Experiential Network. "In our industry, reliability is paramount. Every moment of downtime potentially represents significant revenue loss. Employing Logic Supply hardware lets us focus exclusively on creating immersive and engaging OOH solutions for our clients and their content." The CL200 will be available in Spring 2018, but Logic Supply is currently engaging with customers interested in the CL200 on project requirements and timelines. Development tool maker IAR Systems is to acquire Secure Thingz, a provider of advanced security solutions for embedded systems in the Internet of Things (IoT). This positions IAR as a frontrunner in offering solutions for security in embedded systems. Secure Thingz is only two years old and develops and sells products and services for implementation of embedded security in connected devices. 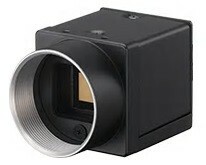 The company has provided security solutions for the Renesas Synergy Platform, which is very attractive to IAR. The company's founder Haydn Povey has held senior management roles including marketing and business development at Arm and is an Executive Board Member of the IoT Security Foundation. He will take over as CEO of Secure Thingz under IAR. Machina Research predicts there will be 27 billion IoT connections in 2025 facing security challenges such as IP theft, counterfeiting and overproduction, as well as data theft and potentially life threatening sabotage. However only 4 percent of the total number of IoT products available are marketed as secure, says ABI Research. This means the total market for secure microcontrollers for IoT can reach 1.2 billion dollars in value in 2022, with secure IoT products representing almost 20 percent of new IoT units. The acquisition follows a 10 percent equity stake in Secure Thingz last April, and last month an Embedded Trust product was launched having been developed jointly with IAR. This enables secure development and makes security part of the development workflow, enabling companies to safeguard intellectual property against overproduction and counterfeiting, manage software updates in a robust way, and protect end users from malware intrusion and theft or loss of data. "With the increasing number of connected devices, our customers are facing new challenges. One of the major challenges is how to deliver secure products in a world where even minor failures can lead to major consequences," said Stefan Skarin, CEO, IAR Systems. "As a first step, our customers need help mainly protecting themselves against overproduction and IP theft, and we are responding to this need with a new offering that provides possibilities to create modern workflow where security is included from start. The acquisition of Secure Thingz is a step in our increased ambition for future growth through new technology, new markets, new business models, and new relationships. It also secures our position as a frontrunner in a changing industry." "We are very excited to become a part of the highly competent IAR Systems team," said Haydn Povey, founder and incoming CEO of Secure Thingz. "We have already established a smooth cooperation with the development of Embedded Trust, and our combined resources within technology, sales and customer support will enable us to accelerate the development of the innovative security solutions that the digital products market so desperately needs." He replaces Krishna Anne, the outgoing CEO. "This strategic partnership with IAR Systems will enable Secure Thingz to provide a wide-ranging solution for secure development, secure provisioning, programming, and secure lifecycle management in partnership with the silicon device vendors, market channel partners and programming partners," said Anne. Completion of the deal is expected in two weeks. Silicon Motion Technology has launched a single-chip SSD with a PCIe Gen 3 NVMe 1.3 interface for high-performance mission critical applications. The FerriSSD SM689 supports PCIe Gen 3x4 interface while the SM681 supports PCI Gen 3x2 interface - exhibiting sequential read speed of up to 1.45GB/s and sequential write speed of up to 650MB/s. Both products can support multiple capacity configurations ranging from 16GB to 256GB and include enterprise-grade advanced data integrity and reliability capabilities using Silicon Motion’s proprietary end-to-end data protection, ECC and data caching technologies. These sit alongside the PATA (SM601) and SATA (SM619) single chip SSDs for embedded computing applications in industrial, commercial, enterprise and automotive end-markets. The SSDs are customizable via firmware, and offer enhanced reliability and robust data integrity features that are essential for the extreme operating environments of these applications. The SM689 and SM681 include end-to-end data path protection, which applies error correction code (ECC) to the SRAM and DRAM buffers as well as to the primary NAND Flash memory array, as well as a DRAM data cache to ensure data programming and enable data redundancy without delaying host processor operations. A Hybrid Zone enables a single disk to be partitioned into single-level cell (SLC) and multi-level cell/three-level cell (MLC/TLC) zones, enabling faster access speeds and data retention. The single chip package measures 16mm x 20mm (SM689) and 11.5mm x 13mm (SM681) and supports industrial temperatures from -40 to 85 degrees Celsius. Densities ranging from 16GB to 256GB at launch, and the family in in production. Silicon Labs introduced a portfolio of Wi-Fi transceivers and modules to simplify the design of power-sensitive, battery-operated Wi-Fi products including IP security cameras, point-of-sale (PoS) terminals and consumer health care devices. Optimised for exceptional energy efficiency, the WF200 transceivers and WFM200 modules support 2.4 GHz 802.11 b/g/n Wi-Fi while delivering the high performance and reliable connectivity necessary as the number of connected devices increases in home and commercial networks. “The market for Wi-Fi devices in low-power IoT end node applications is forecast to grow from 128 million units per year in 2016 to 584 million units per year by 2021,” said Christian Kim, senior analyst for IHS Markit, a global business information provider. Developers can speed time to market and miniaturize battery-operated Wi-Fi products with the WFM200, the world’s smallest pre-certified system-in-package (SiP) module with an integrated antenna. The WF200 transceiver provides a cost-effective option for high-volume applications and gives developers the flexibility to meet unique system design requirements, such as using external antennas. The WF200 transceiver and WFM200 module have a low transmit (TX: 138 mA) and receive (RX: 48 mA) power with 200 µA average Wi-Fi power consumption (DTIM = 3) contributing to ultra-low system power. The link budget of 115 dBm allows for long-range Wi-Fi transmissions. Security includes secure boot and host interface, hardware cryptography acceleration supporting AES, PKE and TRNG and the modules are pre-certification by the FCC, CE, IC, South Korea and Japan to minimize development time, effort and risk. Silicon Labs is sampling WF200 transceivers and WFM200 SiP modules to selected customers, and production parts are planned for Q4 2018.
congatec has launched a deployment ready design study of a micro server carrier board with 10GbE support that can be used for edge processing in the Internet of Things. The modular server board in the 5x5 inch Mini-STX form factor (140mm x 147mm) offers high scalability across all suitable embedded server processor sockets by using a COM Express Type 7 slot. This enables 10GbE edge node performance upgrades at lowest cost, as nearly all investments in the real-time system design of 10GbE edge nodes can be re-used. To upgrade the performance, OEMs and network operators only need to exchange the Server-on-Module. This is especially interesting for operators of 5G networks and edge data centres, who expect real-time performance demands to increase once 10GbE infrastructures become deployed more widely, leading to constantly lower revenues per processed data volume. Also, all IIoT, Industry 4.0 and fog server applications will require continuous performance upgrades as security, analytics and artificial intelligence demands will keep evolving for at least a decade to come. "Building a 10GbE infrastructure with IIoT, edge, fog or Industry 4.0 servers and 5G small cells for decentralized decision making in real time is only the first step," said Martin Danzer, Director of Product Management at congatec. "Once this infrastructure is established, the performance of these nodes will have to constantly increase as we are only at the beginning of designing such decentralized 10GbE node technologies and the demand for transcoding, security, data capture and analytics capabilities as well as artificial intelligence and real-time communication will continue to grow dramatically." The edge server board in the 5x5 Mini-STX form factor uses a COM Express Type 7 conga-B7AC module based on the Intel Atom C3000 processor. With processor power consumption starting at just 11W TDP, the system offers 4x real-time 10GbE network performance and up to 16 cores for handling many smaller packet sizes in parallel. Compared to other multi-core solutions, such as the Intel Xeon D processors, the costs and power consumption here are significantly lower, making it possible to roll out very high network bandwidths and storage capacities into the field. The congatec micro server carrier board can be equipped with eight different Intel Atom server processor versions - from the 16-core Intel Atom C3958 to the quad-core C3508 processor for the extended temperature range (-40°C to +85°C). All offer up to 48GB of fast 2400 DDR4 memory, which can be designed with or without Error Correction Code (ECC) depending on customer requirements. The 10GbE interfaces are standardly implemented via SFP+ cages, enabling network connection via both fiber optic and copper cables. In addition, the carrier board provides 2x 1GbE and 2x USB 3.0 interfaces for service and peripherals. 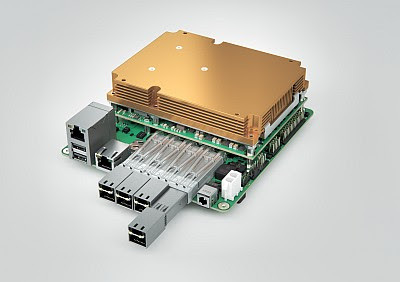 One of the 1GbE ports is connected to the integrated board management controller and can therefore be used for server-typical remote management tasks. The carrier board includes a VGA output and a serial interface for local administration. For custom extensions, it provides three M.2 slots, two for M.2 2280 cards with key M and 4 PCIe lanes or 1x SATA, which makes them particularly suitable for storage media. The third M.2 slot accepts M.2 3042 cards with key A. 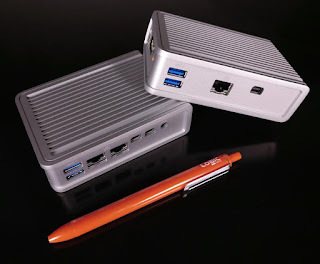 With 2x PCIe, 1x USB 3.0 and I²C, it can connect both storage media and other peripherals. The feature connectors also provide GPIOs, I²C, SM and LPC buses. If the Server-on-Modules require active cooling - for example, with a 16-core Intel Xeon D processor - optional CPU and system fans can also be supported and controlled. This means the congatec micro server carrier board in the 5x5 Mini-STX form factor offers the same server-class performance that up to now only fully-featured 19-in rackmount servers were able to provide and can be mounted anywhere and even integrated into autonomous vehicles. The massive wave of growth and change from the Internet of Things (IoT) cannot be met by traditional cloud and embedded systems. Like mobile and cloud before it, a whole new purpose-built approach to computing for the edge is required, says startup Zededa. As a result it is building a secure, open source cloud-native approach to real-time edge applications for self-driving cars and industrial robots. It has raised $3m from investors including Ed Zander, former CEO of Motorola and former COO of Sun Microsystems. The company sees an open ecosystem and a completely new technology stack that creates the service fabric essential to achieving the hyperscale that edge computing requires. This will bring together operating systems, virtualization, networking, security, blockchain, cloud and application platforms. Microcontroller designer Microchip Technology is to buy Microsemi in a surprise $10bn deal that will take the combined company over $50bn in revenues. The two have signed a definitive agreement acquire Microsemi for $68.78 per share in cash. The acquisition price represents a total equity value of about $8.35 billion, and a total enterprise value of about $10.15 billion, after accounting for Microsemi’s cash and investments. 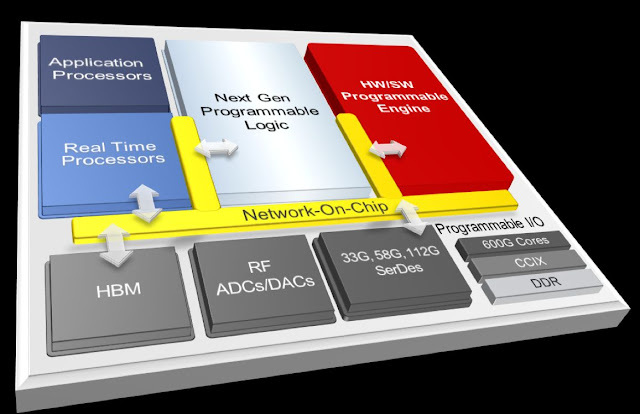 The deal particularly brings Microchip two new product categories - discrete devices and FPGAs. "Joining forces and combining our complementary product portfolios and end market exposure will offer our customers a richer set of solution options to enable innovative and competitive products for the markets they serve,” said Ganesh Moorthy, President and COO of Microchip. The company's last chip deal was Atmel in 2016. Microchip anticipates achieving an estimated $300m in savings in the third year. Subject to approval by Microsemi stockholders and regulatory approvals, the deal is expected to close in the next three months.